She deserves the fun and frills of the Fendi Kids™ Shoulder Ruffle Dress. Ribbed, jewel neck shift dress. Short sleeves with left shoulder ruffle. Cascading ruffle along the left side. 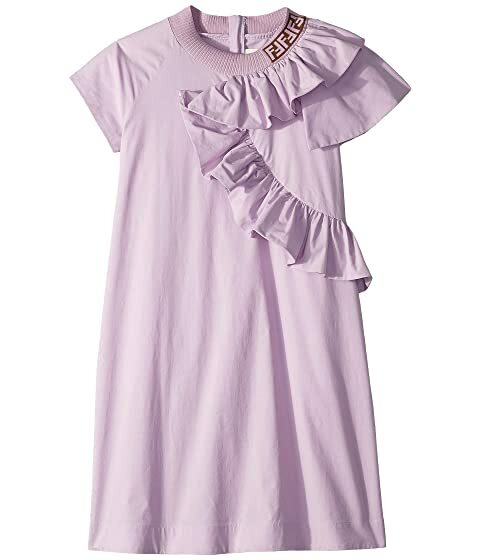 We can't currently find any similar items for the Shoulder Ruffle Dress (Big Kids) by Fendi Kids. Sorry!